Mrs. Cynthia Evans Hill, age 95 of Gainesville, Ga. passed away Wednesday, September 5, 2018 at New Horizons Lanier Park. She was born March 25, 1923 in Commerce, GA to the late Otha and Allie Minish Evans. 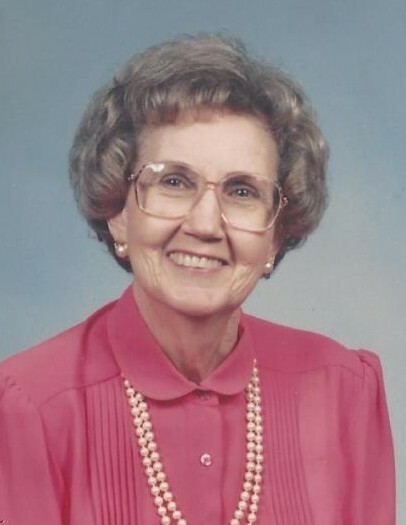 She was a resident of Gainesville, Hall County for the past 70 years. In addition to her parents, she was preceded in death by three brothers; one sister; her first husband, Jesse Lord; her second husband, Otis Hill; her son, Steven Hill. Survivors include her daughter-in-law, Marsha Hill; grandchildren, Mark Webb, Jamie Hill Allen, Mary E. Hill; step-grandson, Scott Rosecrans; four great-grandkids and several nieces and nephews. Funeral services will be held at 1:00 p.m. Saturday, September, 8, 2018 in the chapel of Little & Davenport Funeral Home. Rev. Boone Strickland will officiate. Interment will follow in Alta Vista Cemetery. The family will receive friends at Little & Davenport Funeral Home Saturday September 8, 2018 from 11–1:00 p.m.